A room with a view is the pièce de résistance of any accommodation. Whether the view looks down to the city below, across the sea, out onto a busy street or over empty countryside, the view is something which can really enhance your experience of being in a room. During my travels, I have been fortunate enough to stay in places where there have been some amazing views, particularly from balconies and ornate windows. Here are a few of my photographs and drawings of some of the views I have enjoyed looking at. 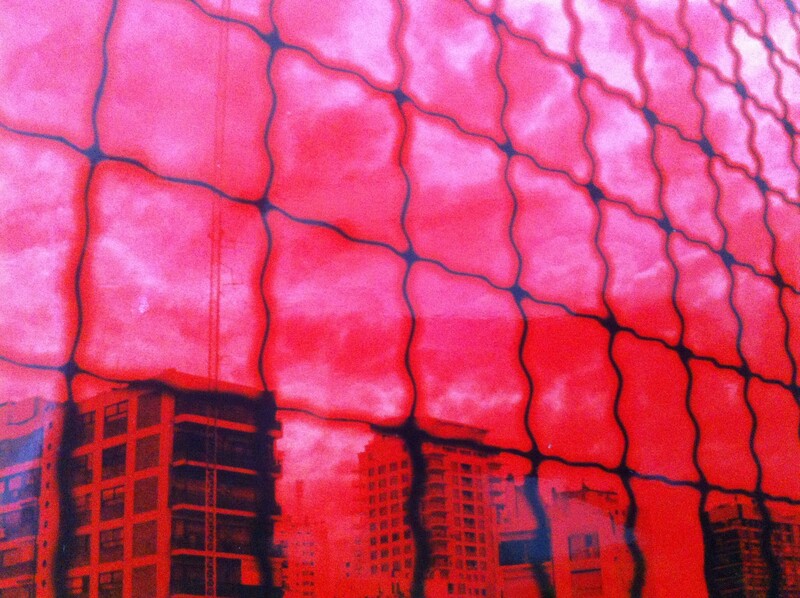 This image from Poland was from a photograph I took from the tenth floor Panelák in Sowinskiego, Katowice. I was teaching English in Poland and lived on the third floor of Sowinskiego, my colleague Kim lived on the tenth floor opposite. It was a cold winter day with great light and great shadows and I knew that the view of people with their shadows walking by would be great from Kim’s flat, so I invited myself round for a cup of tea, bribed her with biscuits then just waited by the window, for a picture to happen. View from Chris and Lucy’s balcony in Buenos Aires, Argentina. This view of Buenos Aires was taken from the balcony of Chris and Lucy’s apartment, two friends I was staying with. I used a red filter to take this image, I think the image has a look of a 1980s independent video, a little bit Derek Jarman “Queen is Dead” video. 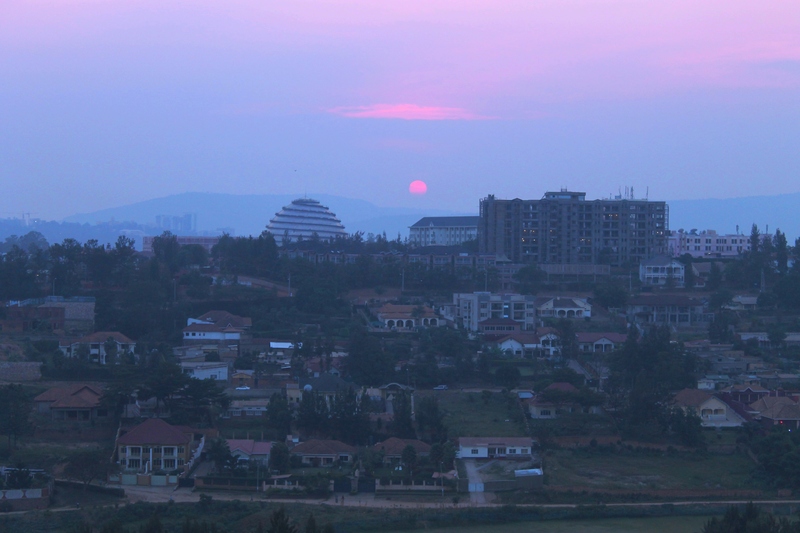 This stunning pink, lilac and blue sunset from the hotel balcony in Kigali in Rwanda, which unlike the previous picture, was taken without a filter. Sketch of the Taj Hotel, from the Diplomat Hotel in Mumbai, India, by Ali Dunnell. This sketch of the Taj Hotel, from the Diplomat hotel brought back great memory. This was from my first long haul trip travelling independently to the other side of the world, back in 1997. I had flown from London to Mumbai and was absolutely petrified. I was too frightened to go outside the room, let alone the building, and of course back then, I had no email or mobile to keep me company. So I spent the best part of the day chain smoking cigarettes, eating boiled sweets and drawing this view from my window. I plucked up the courage to go out out later that evening and my gap year turned into a gap decade. 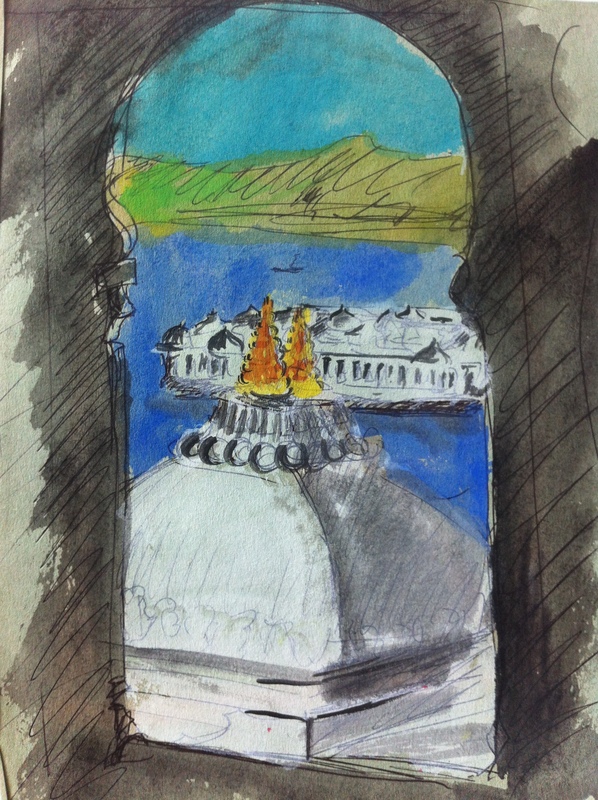 A quick sketch done from my hotel room in Udaipur India. View across the Moskva River from David’s apartment in Moscow, Russia. 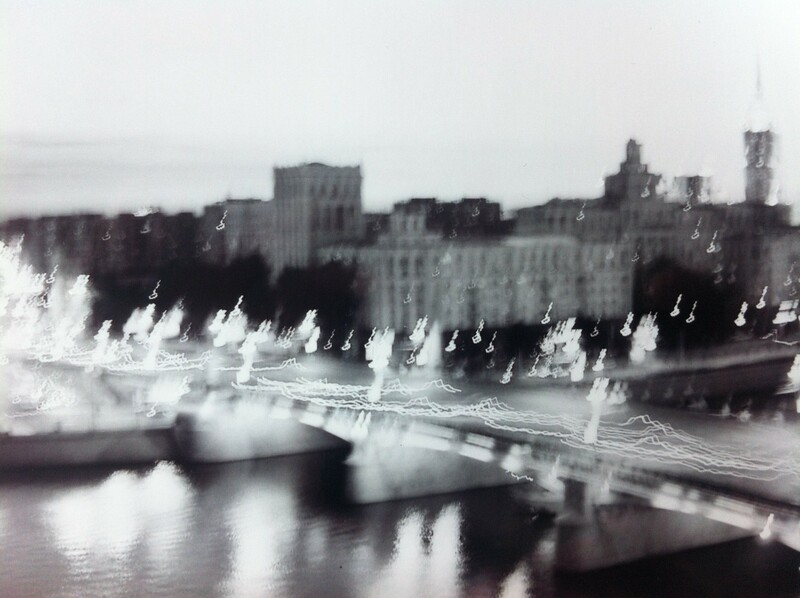 The view across the Moskva River was taken from the window of my friend David’s apartment in Moscow at dusk. The effect was created by moving the camera while pressing a slow release shutter. 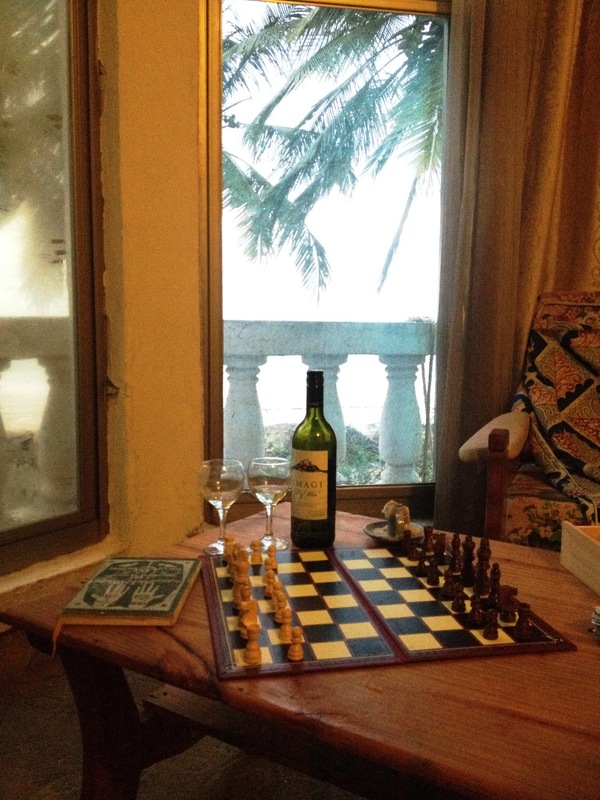 My idea of true relaxation – sketching, a game of chess, a glass of wine and a view across the Indian Ocean courtesy of a few days at our friend Ben’s house on Jangwani Beach in Dar Es Salaam. Mount Qasioun at night from my apartment window in Damascus, Syria. 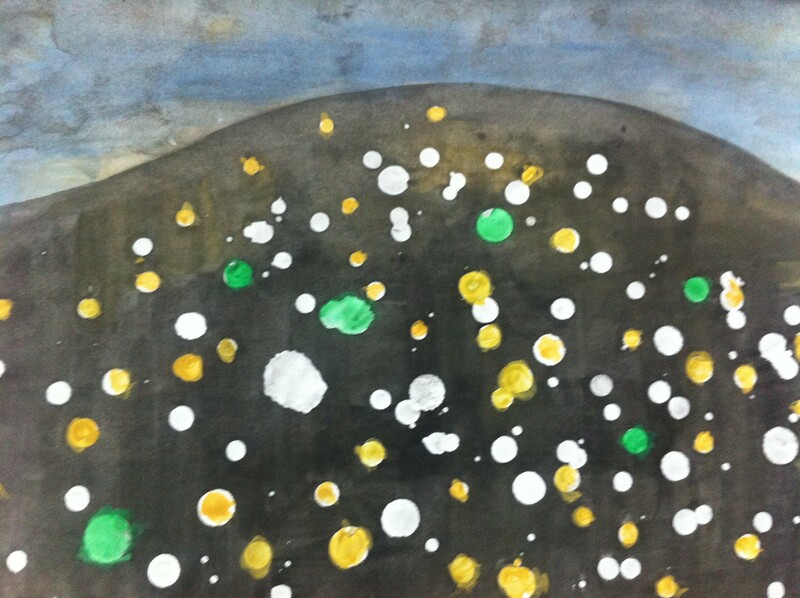 And finally the painting of Mount Qasioun at night from my apartment window in Damascus, where I lived between 2002 to 2003. I loved the city, the people, my students, the mountain and this wonderful view. To be honest at the time of writing this, I feel too upset about what is happening in Syria to write any more. Beautiful post, Ali, and beautiful pictures too. I hope and pray for Syria that better days are coming. How can this continue to happen time and time again in this day and age? Heartbreaking. Hi Elaine, Thanks for the response. I have been spending the last two weeks sifting through scores of sketchbooks and hundreds of photos, with the intention of producing lots and lots of art. With regards to Syria, I feel so upset about the situation there and in the ongoing problems in Palestine. The world seems to be blinkered to their problems. Thanks for the positive feedback. 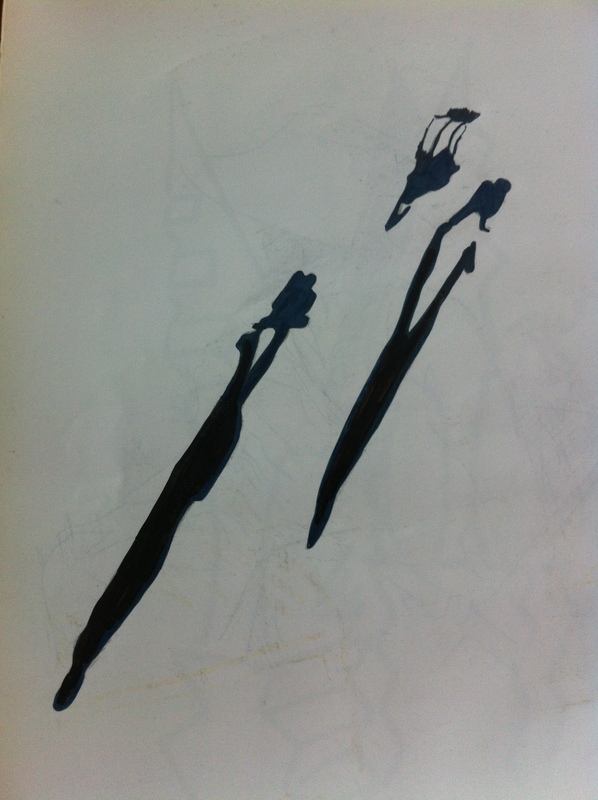 I think I’m going to do some more shadow pics, as quite few people seem to like this one.